Most believe that the painting depicts St. Francis receiving the stigmata, the five wounds of the crucified Jesus (according to legend, he was the first after Jesus to do so). 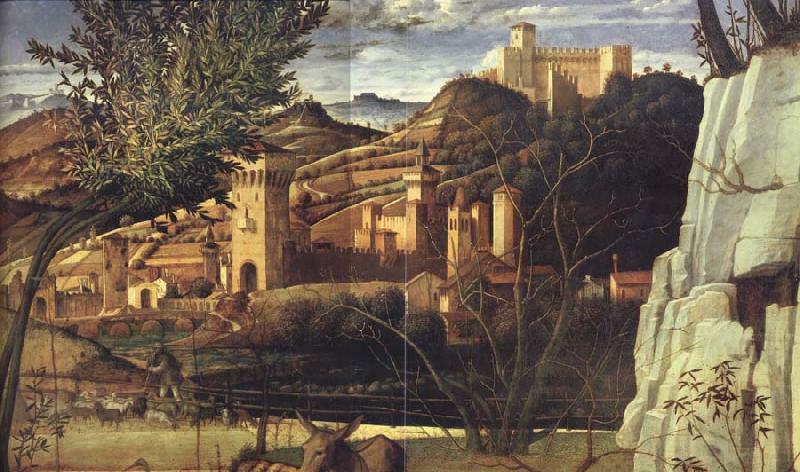 However, some, like Anthony F. Janson (in his article “The Meaning of the Landscape in Bellini’s ‘St. 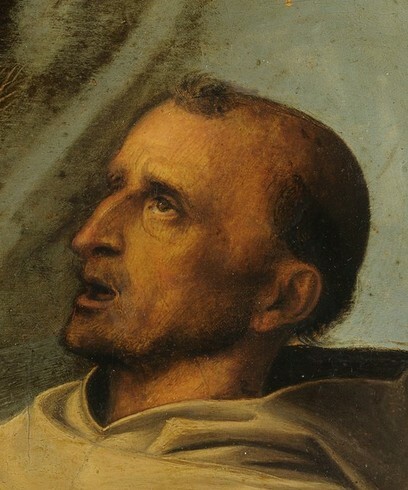 Francis in Ecstasy’”), believe that the likely subject of the painting is rather St. Francis receiving inspiration as he composed his song “Canticle of the Sun” at San Damiano. What Bellini depicts may apply to neither subject, or to both simultaneously. Giovanni Bellini (c. 1430-1516), sometimes called the father of the Venetian Renaissance, came from a family of painters. He studied with his father Jacopo, as did his brother Gentile, and his brother-in-law was Andrea Mantegna. 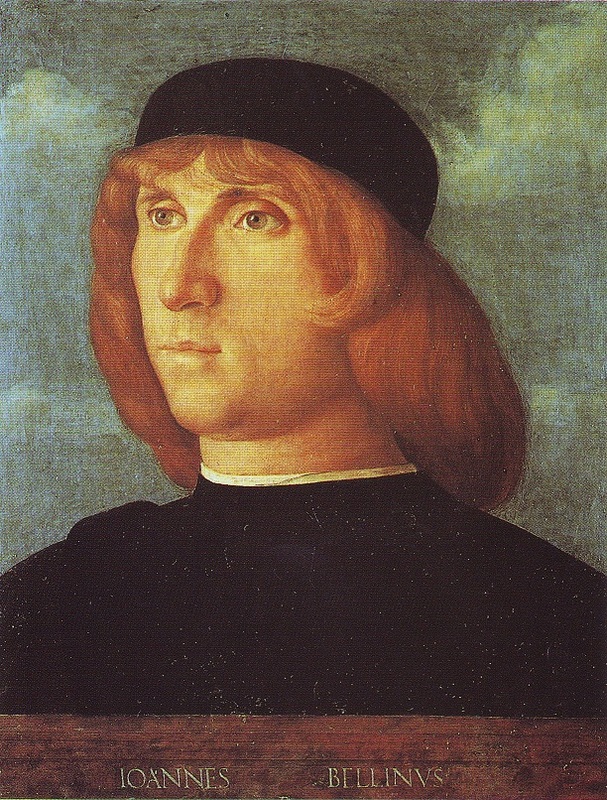 Bellini first made his name through portraits and portrayals of Biblical events. 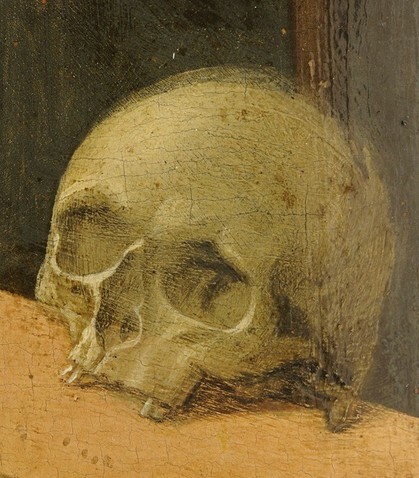 He later became especially famous for his altarpieces, most of which feature highly detailed landscapes and renderings of animals, plants, and clothing. Albrecht Dürer described Bellini as “the best painter of them all.” Bellini remained active as a painter until his death in his late eighties, and proved a huge influence on the painters of the next generation, particularly his student Titian. Born in the Umbrian town of Assisi, Giovanni di Pietro di Bernardone (c. 1181/2-1226), nicknamed Francesco and later canonized as St. Francis of Assisi, grew up in an upper middle-class household, his father a rich cloth merchant. Francis had a temperamental, emotional, poetic nature. Fearless in his faith, generous to an extreme, he was fanatically devoted to the Gospels. At one point he took Jesus’s words about giving everything away quite literally, giving up even the clothes on his back. His preaching, his compassion for the poor and the sick, and his kindness to animals became legendary. He founded the men’s Order of Friars Minor and the women’s Order of St. Clare, and in 1223 created the first recorded nativity scene. 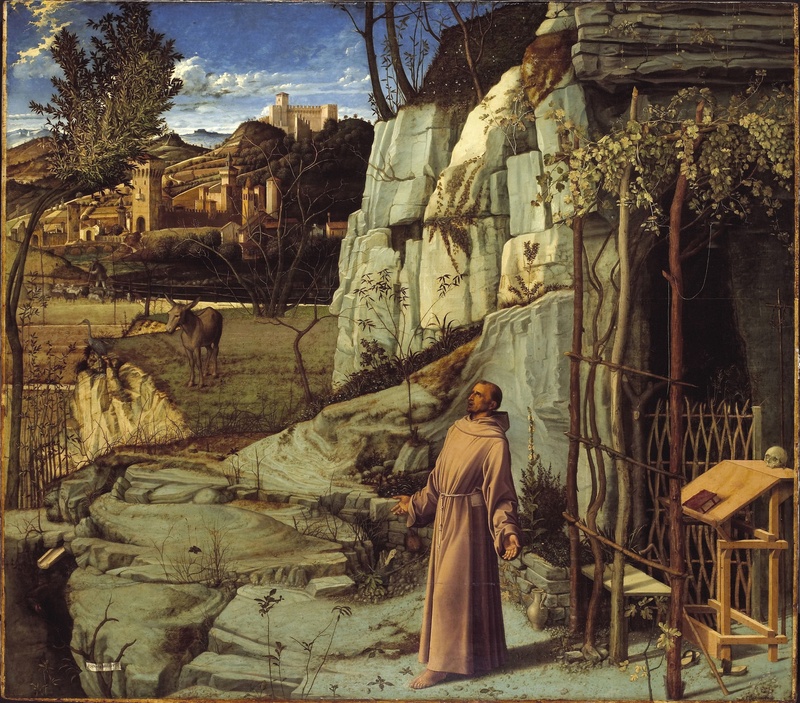 Bellini’s St. Francis in the Desert is 49 in. x 55 7/8 in. in size, painted in oil and tempera on poplar panel. 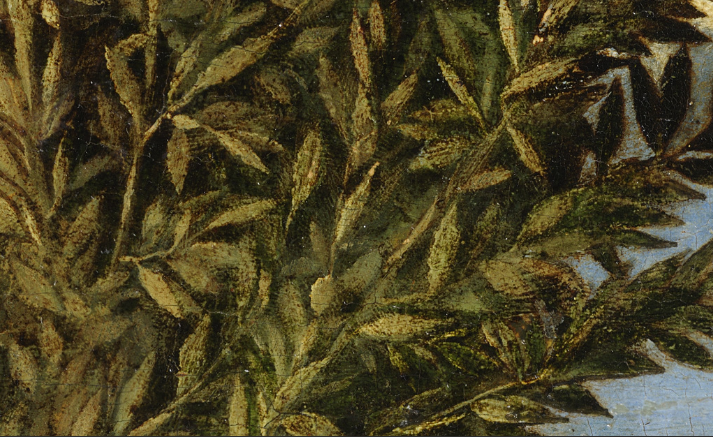 Sometime in the 1470s, Bellini moved away the traditional, fast-drying tempera painting style in favor of the more versatile, slower-drying, more easily blended oils, which had a large impact on his rendering of color and light. (Oil paints had only been introduced in Venice around 1473 by the Sicilian artist Antonello da Messina; Messina had spent time in Flanders, where oils were already being used by painters like Jan Van Eyck.) On a base layer of white gesso, Bellini made a detailed drawing of the entire work, only varying from that plan slightly as he painted. It is not a large painting, but is crowded with meaningful and delightful detail. 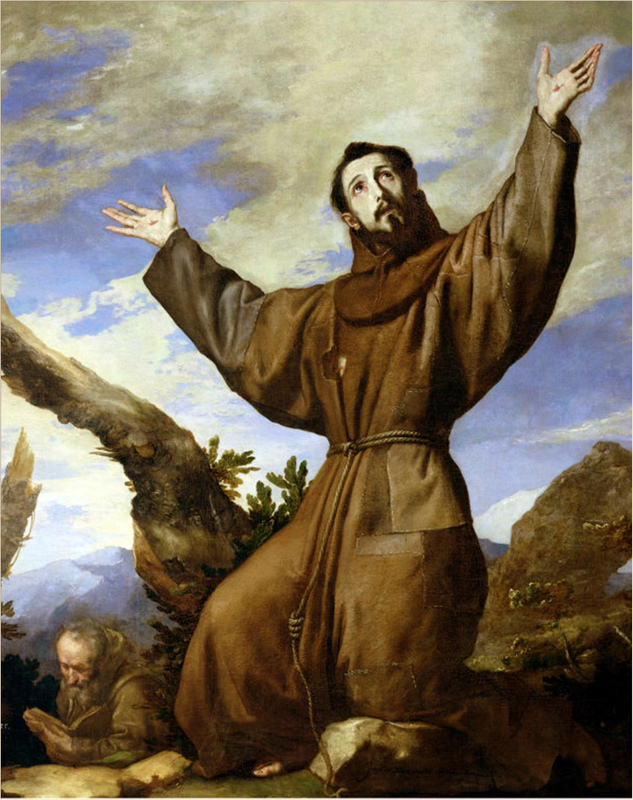 Toward the end of his life, St. Francis lived a life of fasting and prayer, much of it spent in a hermit’s cell on a Tuscan mountain, Mount Alverna (or La Verna). La Verna, which had been given to Francis in 1213 by Count Orlando di Chiusi, had become one of Francis’s favorite retreats. Chiusi described it as “eminently suitable for whoever wishes to do penance in a place remote from mankind.” According to legend, on a specific date – September 14, 1224, the Feast of the Exaltation of the Cross – during a thirty-day retreat in preparation for Michelmas (the Feast of Saint Michael the Archangel), St. Francis suddenly received the stigmata, the five wounds of the crucified Jesus, from a six-winged seraph. He had actually wanted the stigmata so as to understand better Christ’s suffering. One Brother Leo was apparently there when Francis received the stigmata. 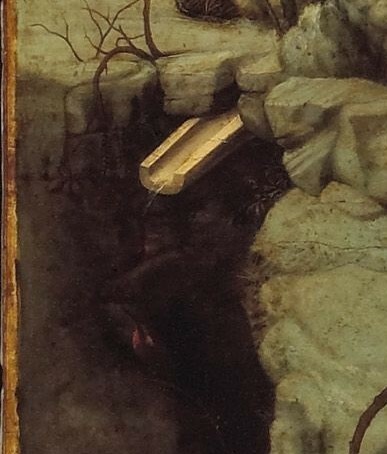 But Brother Leo isn’t in Bellini’s painting, nor is the six-winged seraph. Under a gorgeous blue sky, in front of the rolling hills in the far distance, is a walled city – possibly evoking the heavenly Jerusalem – with orchards and park-like spaces. Moving forward, we see thriving farmland, with a shepherd leading his grazing flock. In the middle ground is a pasture. Off to its left is a donkey; donkeys have traditionally symbolized patience, or the more negative traits of stubbornness or laziness. There is also a barren tree and a heron. 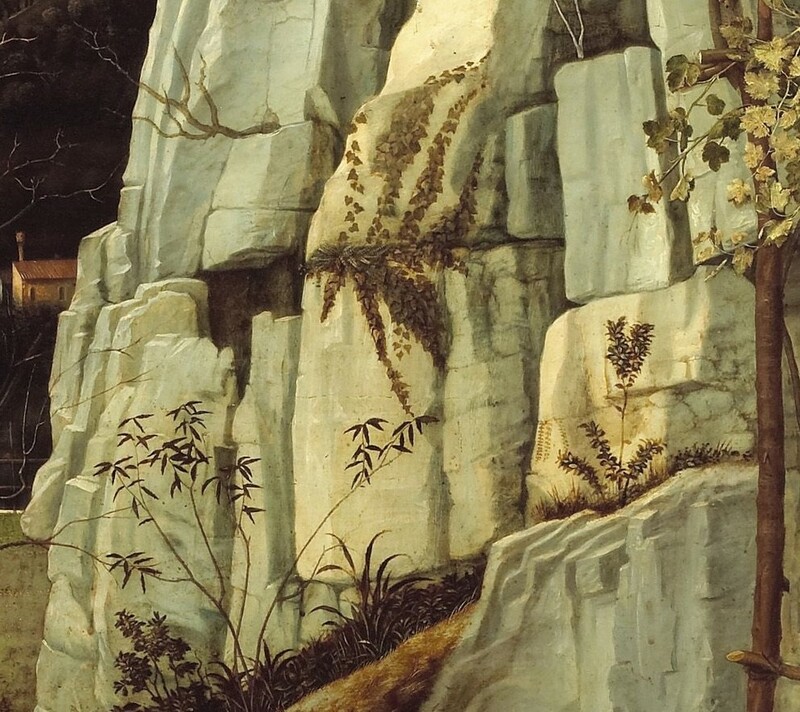 In the foreground, St. Francis stands on a rocky cliff. Behind him is his cell, with an arbor, a reading desk, and a reed cross at the far right on which hangs a crown of thorns. Quite aside from the stigmata themselves, signs and remembrances of the Passion of Jesus clearly abound. Yet, despite this, the general austerity of Francis’s cell, and the painting’s title, Bellini represents a verdant scene, possibly the Tuscan setting of Mount Alverna. Even the rocks around St. Francis have all sorts of plants and vines sprouting amongst them. 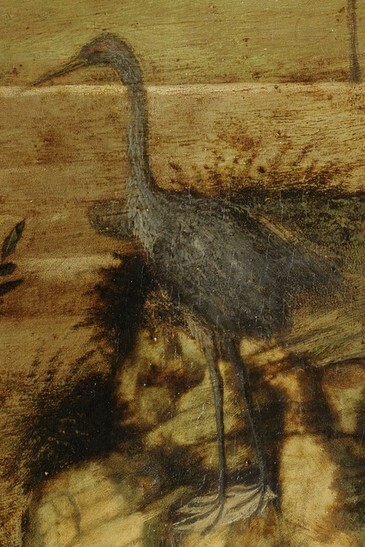 Animals are many, all delicately and carefully rendered by Bellini – the healthy rabbit, the heron, and, tucked away at the lower left of the painting, a little bird, perhaps a kingfisher, catching water dripping from a drainpipe. There are signs that something dramatic is happening. 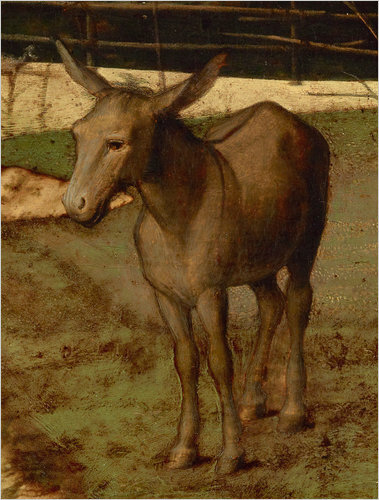 The donkey’s ears are up, and the heron is posed stiffly. Even the laurel tree – symbolic of the cross of the crucifixion – at the upper left seems to be bending under the weight of some miraculous force. 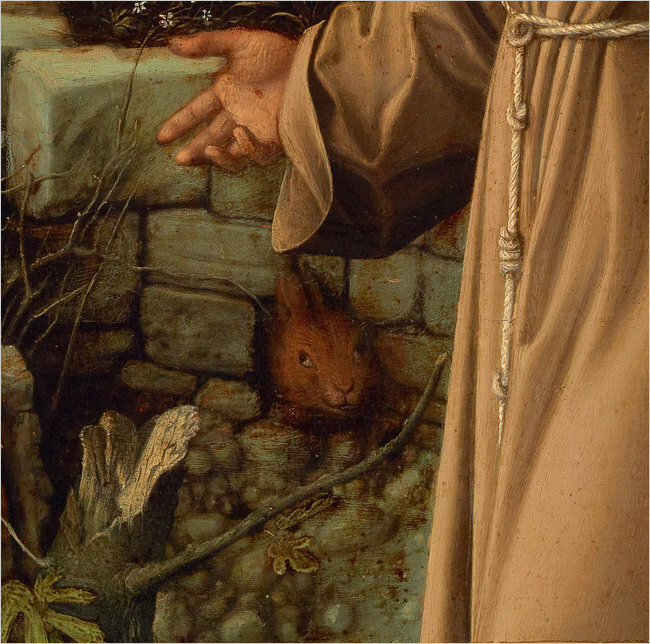 At the center of the painting is, of course, St. Francis himself. His vows of poverty, chastity and obedience are symbolized by the three knots in his rope girdle. His arms are spread wide, the palms pointing upward, ready to receive. His pose, with his left leg actively thrust forward, suggests that he may just have stepped out of his cell, as if something had called him. Some power forces him to lean back. 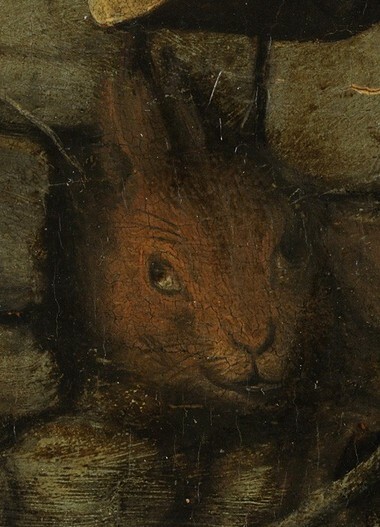 His gaze is upwards, with his mouth open, in some kind of mystic rapture. 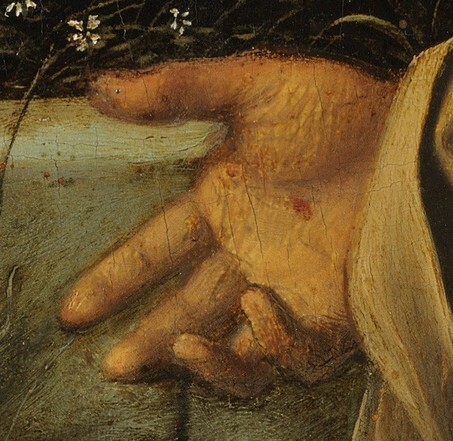 The wounds in St. Francis’s hands are clear in Bellini’s painting; only a microscopic examination, however, revealed that the one visible foot also once had a wound that perhaps wore off over time (the wounds on his other foot and his side are obviously not visible). The laurel tree at upper left, too, might represent the cross but might also stand for the burning bush in Moses’s vision at Horeb. As is mentioned above, Brother Leo, who was present when St. Francis received the stigmata, reported that the wounds were delivered by a six-winged seraph. 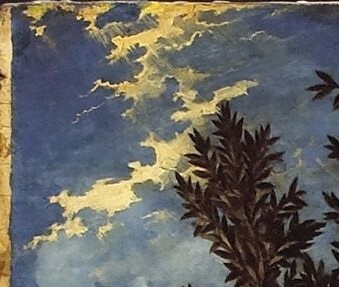 That seraph is not present here, although there is some intimation of it in the golden clouds at the upper left of the painting. 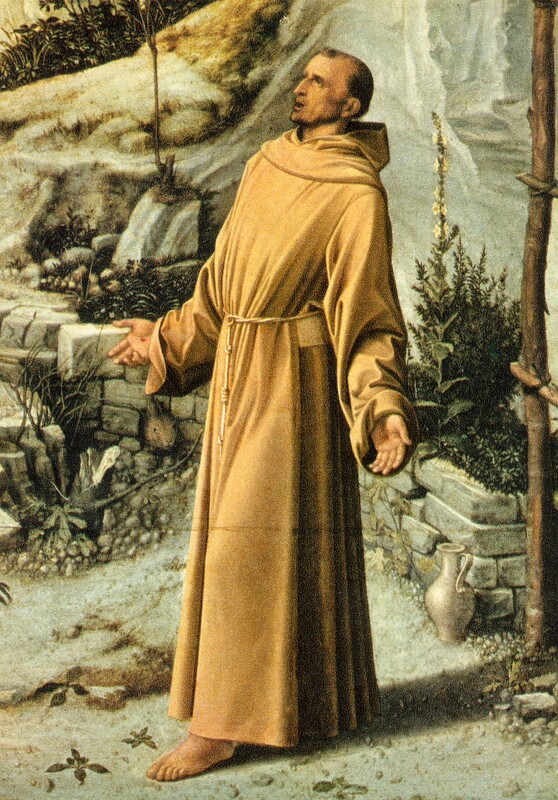 However, St. Francis does seem to be standing in golden light, perhaps that of the rising sun (suggested by the shadows cast behind him and other objects). 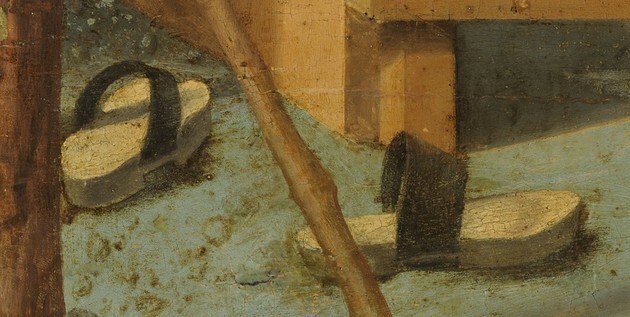 Everything in the painting seems to glow with some kind of mystic light, from the rocks to the animals to the robes of St. Francis himself. Bellini emphasizes not the actual receiving of the wounds, but rather the divine atmosphere in which it occurred. One might almost say that the stigmata are not a miracle brought into the world by God, but a phenomenon of a natural world thoroughly suffused by God’s power.